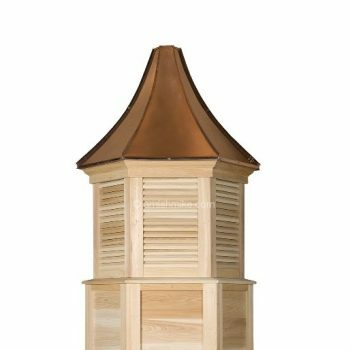 Quality handcrafted Crown Series Cupolas are available in Cypress or AZEK material, and weathervane ready for easy mounting. The Heritage models are available in square and hexagonal bases. The square bases come in 22″, 26″, 29″, 32″, and 36″ sizes. The hexagonal bases come in 32″, 36″, and 40″ sizes. 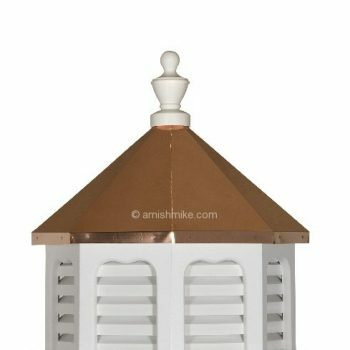 Our Elite models have copper moldings just below the copper roof line. They are available in square, hexagonal, and octagonal bases. The base sizes are 36″, 42″, 48″, 60″, and 72″. The Cottage models come in 18″, 22″, and 26″ sizes. Select Cottage models include crown molding just below the roof line, and some select Cottage model cupolas include raised star panels on the front and the back. 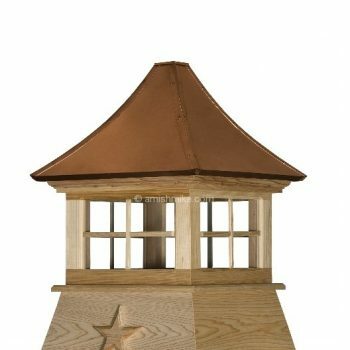 Our Gazebo model cupolas are handcrafted using AZEK material. 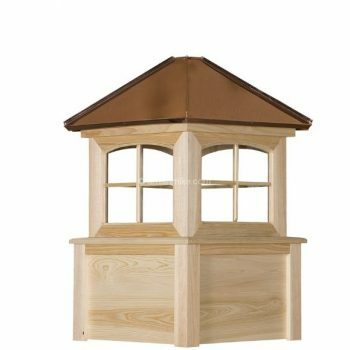 The Gazebo models come standard with finial and weathervanes are optional. Available sizes are 18″ and 22″.